If you are a history junkie or love vintage structures, we suggest you make a quick trip to the Mahishadal Rajbari. Bengal is known for its magnificent ‘rajbaris’ dotted around the landscape. Unfortunately most of these vintage mansions are crumbling or being broken down. All the more reason to visit them while they are still there! 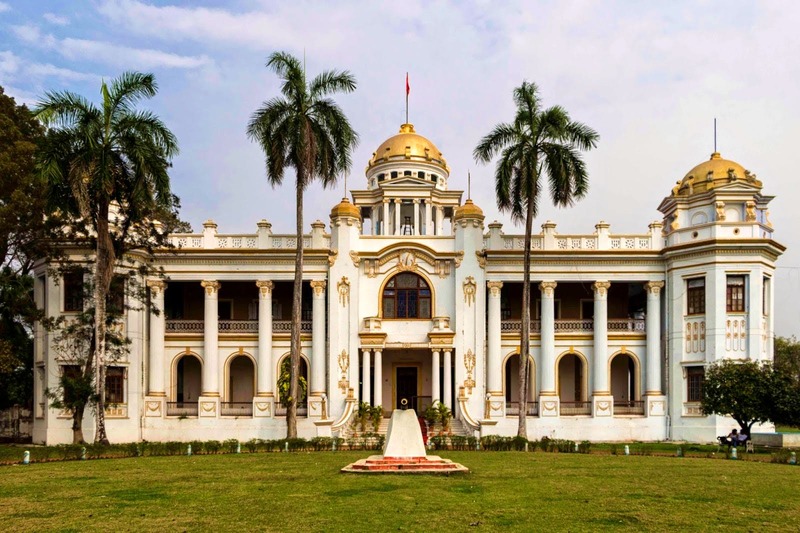 Mahishadal Rajbari is vast with its own ghat, a court house, a large navaratna temple and it is surrounded by a protective moat spanned by bridges. There are two palaces here – the old palace was built around 1840 by a Janardan Upadhyay from North India. The old building is crumbling, but still hold son to some of its old grace. It has a mandap where Durga Pujo is celebrated every year. The new palace has a Shikar room with stuffed animal trophies. Stroll through the huge mansion, wander in the hallways and look out of the huge oil paintings, large half circle windows and the vintage furniture. It is just a 3-hour drive away from Kolkata. Try leaving early morning so that you can spend the day there.